What Disease Did Stephen Hawking Suffer From? How Did Stephen Hawking Die? Known as one of the world’s most brilliant scientific minds, Stephen Hawking passed away in the wee hours of Wednesday morning in his home in Cambridge. The news of Stephen Hawking’s death has certainly shaken many, as the world remembers him as the theoretical physicist who fought against the amyotrophic lateral sclerosis (ALS) disease. Read on to know more about the disease and how Stephen Hawking died. The world is saddened by the news of Stephen Hawking’s death after reports confirmed that he died peacefully in his home at the age of 76. He is, without a doubt, the most famous theoretical physicist of his time. Hawking’s book, A Brief History of Time, is an international bestseller. He has passionately written about the mysteries of black holes, time, and space in this book on cosmology. Throughout his career, Hawking has published several books on his brilliant work. Stephen Hawking leaves behind his ex-wife and their three kids, Lucy, Timothy, and Robert Hawking. 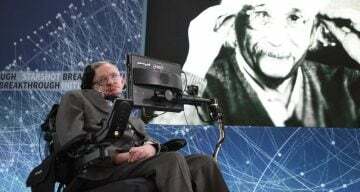 The physicist’s battle with amyotrophic lateral sclerosis (ALS) was known to the public, but how did Stephen Hawking die? Did he die because of his illness? Hawking’s family has not yet revealed how he died and simply stated that he died peacefully in his home. In 1963, when Hawking was 21, he was diagnosed with ALS. It is also known as motor neuron disease. At that time, Hawking’s doctors told him that he would live for two years. His health started declining gradually in the late ‘60s, so he started using crutches and stopped giving lectures. Gradually, Hawking lost his ability to write, and he came up with compensatory visual methods. A few years later, Hawking’s speech became worse, and by the late ‘70s, only his closest friends and family could understand what he was saying. While talking to somebody else, Hawking had to rely on someone who knew him well to translate his words into intelligible speech. In mid-1985, Hawking’s health further deteriorated when he contracted pneumonia. Given his health condition, pneumonia was life-threatening for him. In fact, his wife, Jane Hawking, was asked if his life support should be stopped, but she refused. Hawking had to undergo a tracheotomy, which meant he could not speak. For his round-the-clock care, three nurses were hired. Hawking just had to choose words, letters, or phrases to communicate. This program was transferred to a small computer and attached to his wheelchair. He used this method to give lectures and attend press conferences for the rest of his life. By 2009, Hawking lost the ability to drive his wheelchair on his own. And towards the end of his life, he would often experience difficulty in breathing, often needing a ventilator. He was also hospitalized several times. Hawking was considered a genius in his field because of his detailed research and work related to understanding the universe and its ways. When he was diagnosed with the disease, the doctors gave him just two years to live, but he managed to live for so long with his determination to live and work. Stephen Hawking will truly continue to be an inspiration to everyone for years to come.